This clinic WordPress theme is remarkably performance oriented and beautifully designed to serve diverse niches in medical and health profession. It is a high quality theme with focus given on building a fully efficient website which is complete in its own. It is readily responsive, cross-browser compatible, translation ready and retina ready for HD devices. Customizing the theme is quite simple through theme customizer and dashboard, which eliminates the need to hire a professional coder. This means that even if you are a WordPress newbie, you can craft out a stunning theme personalized according to your needs in just a couple of clicks. There are various sections designed in this clinic WordPress theme like gallery, testimonial, subscription form, Google maps, staff intro etc. If you don’t need any particular section, then you can disable it anytime. It comes with several options for website layout, blog layout, header and footer style and plethora of colour choices and Google fonts. It is built on recently launched WordPress version and includes a wide range of shortcodes and Font Awesome icons. 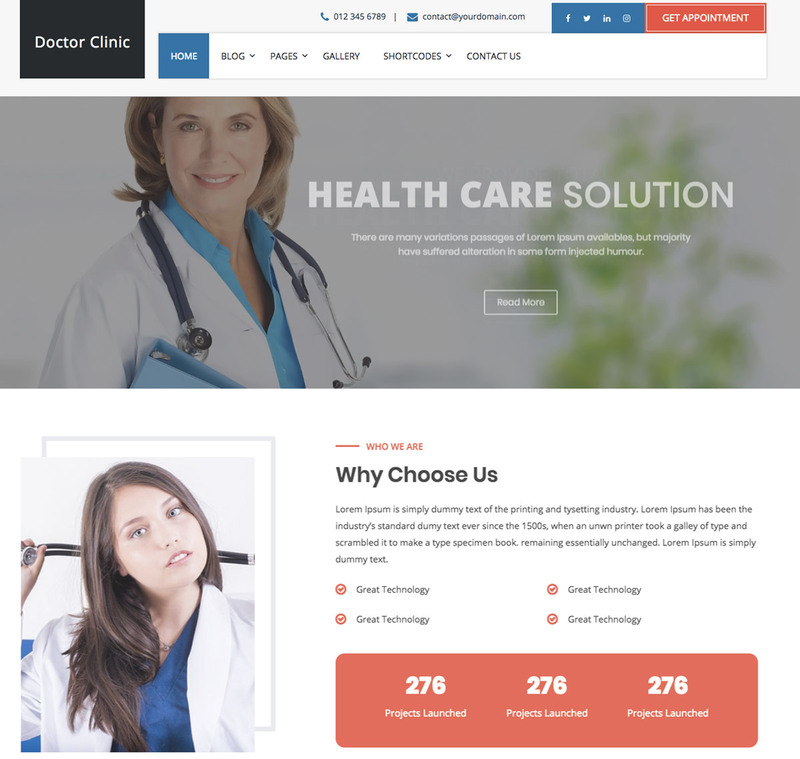 The added advantage of this clinic WordPress theme is that we offer customer support and regular theme updates for one year which eases the process of using it.